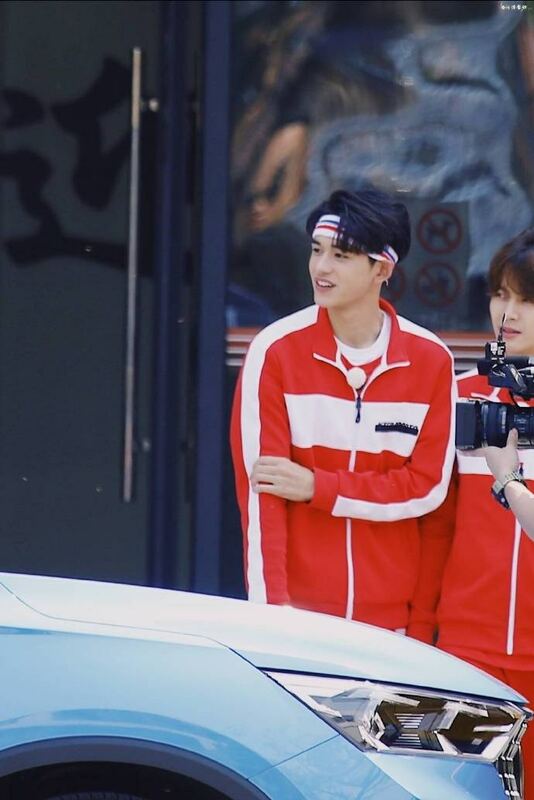 South Korean boy band Got7 member Jackson Wang once expressed his desire to become close to Lucas Wong from the South Korean boy group NCT. Perhaps it’s because they share many similarities – they both hail from Hong Kong and debuted in a male group in South Korea. 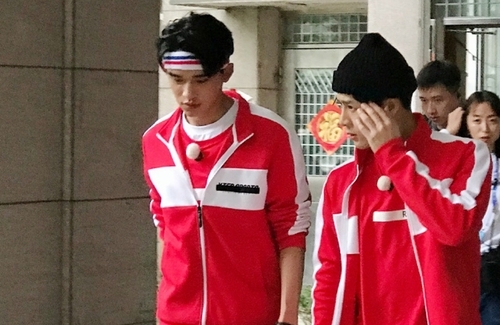 On April 9th, Jackson appeared as a guest on the popular Mainland variety show Keep Running 7 <奔跑吧兄弟7>, co-hosted by Lucas. 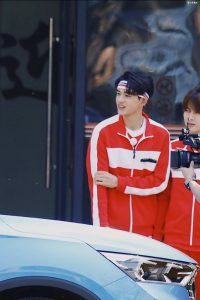 Photos of the show’s recording in Ningbo circulated online and netizens spotted Jackson and Lucas wearing matching red sportswear, thus it’s speculated the boys were probably arranged to be in the same group, forming a “Hong Kong Boy Alliance.” Fans believe the two must be very compatible if they were partnered together. Not to mention, Jackson was a professional athlete before he debuted and he has a strong sense for variety show entertainment. The two also held hands while walking hand in hand outside of the building together to the vehicle arranged for them. It’s a big improvement since their meeting at the end of last year’s awards ceremony in South Korea. Sharp-eyed fans caught Jackson taking the initiative to start a conversation with Lucas but the latter appeared very shy. 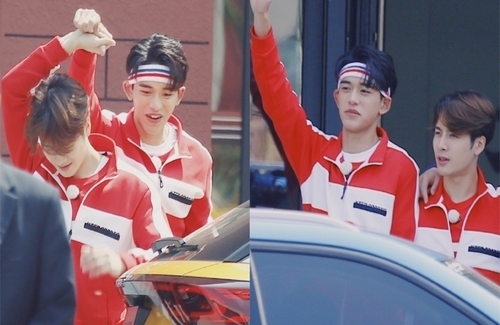 Now, that the two men finally met again on Keep Running, many fans exclaimed their wish came true seeing the two of them together.